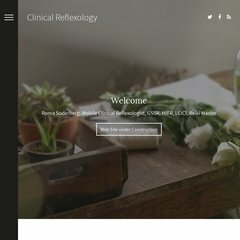 Topics: Clinical Reflexology, Indian Head Massage, Reiki, Raindrop Technique, and Recent Work. ns0.phase8.net, ns1.phase8.net, and ns2.phase8.net are its DNS Nameservers. Namesco Hosting The (England, Worcester) is the location of the nginx server. Its local IP address is 85.233.160.101.